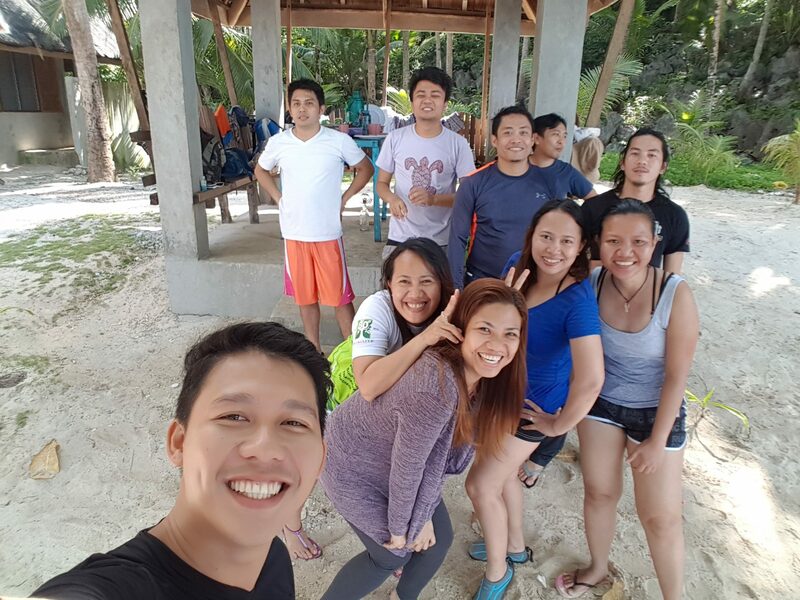 This best describes our trip to Pagkawasan Beach in Surigao City the day before Labor Day. 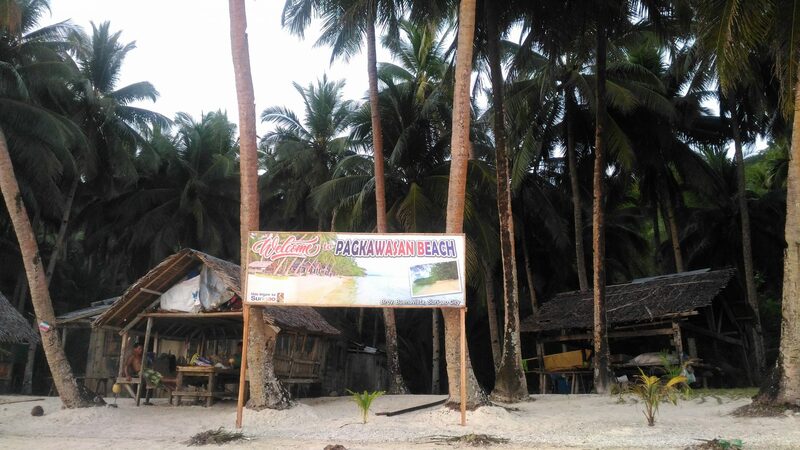 Pagkawasan Beach is located in Brgy. Buenavista in Hikdop Island, an island less than 30 minutes away from the mine where we are working. 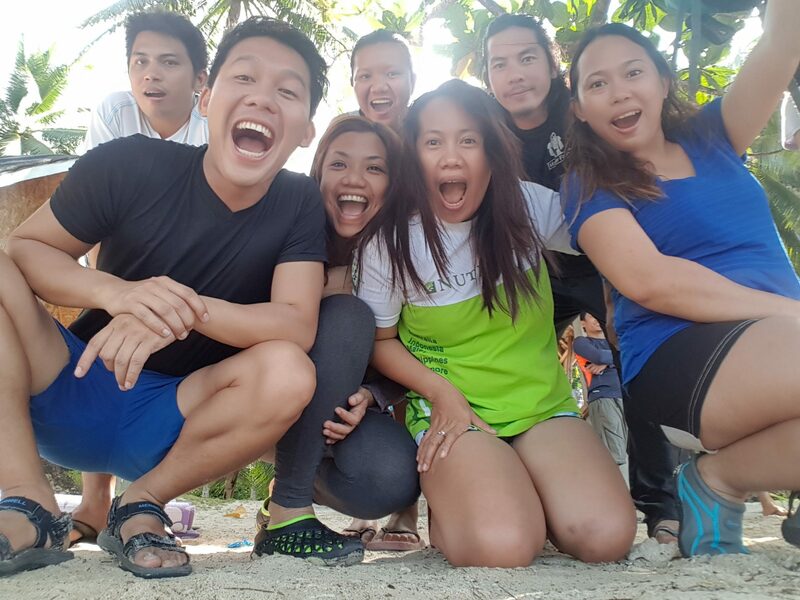 A week prior to our trip, my officemates who said they were joining the trip were very excited with the planning. 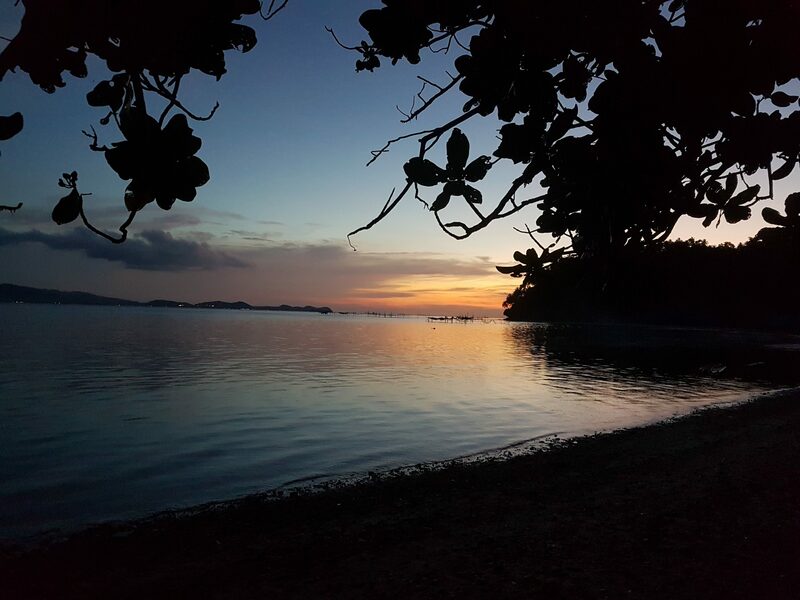 It was going to be a long weekend and we were allowed to spend overnight on the island. They were talking about how we’re going to spend the night there: we will sleep in tents, have a bonfire and roast hotdogs and marshmallows. 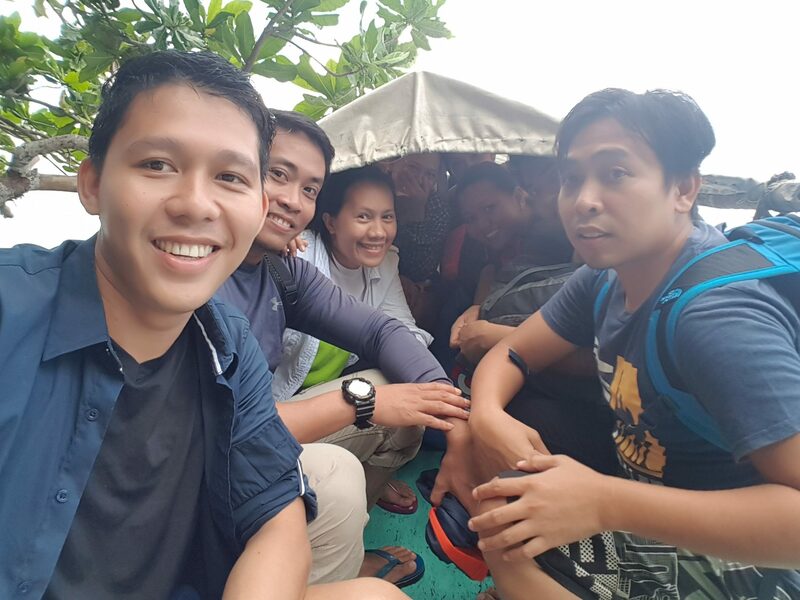 A few days before our trip, our officemate who asked permission from our HR manager if we could spend the night in that island decided to back out. Then our request to borrow the tents of their department was not approved. Their OIC did not sign the form and said it is a company property so we cannot use it. I thought the trip’s going to be canceled but when I asked my other officemates, they said they’re still going. One officemate said we can borrow her cousin’s tent. Then as the day drew nearer, one by one, people who said they were going started backing out. 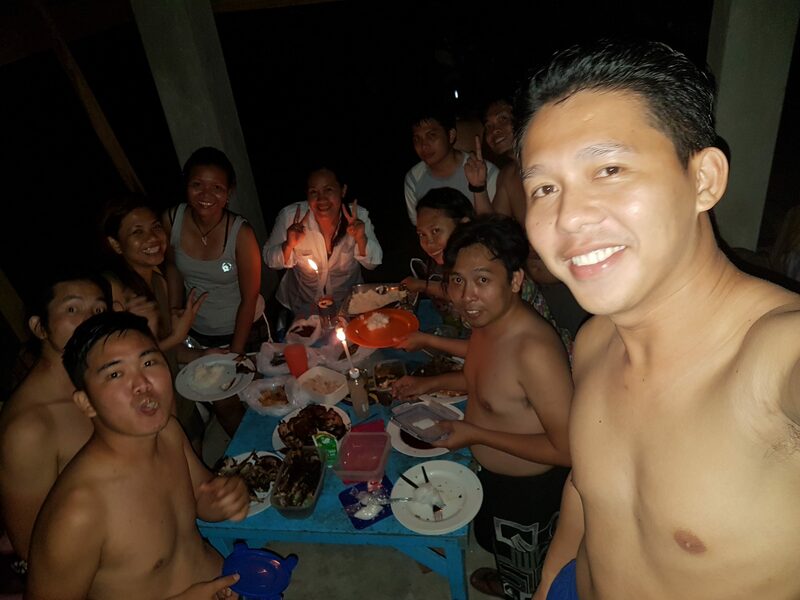 Saturday night- the night prior to our trip, I again asked my officemates if they are still going. Only two confirmed. I knew then that the trip’s not going to happen even though the two guys assured me that they’ll be able to convince people to join us in the morning. That night I went to bed feeling disappointed. I even made a draft of an article entitled “Why I Travel Alone”. I already convinced myself it is not going to happen. Sunday morning came. As planned, we went to the city to buy personal stuff. I felt that the trip will be canceled so I did not buy hotdog anymore. At around 11 in the morning, I was already back in the commercial boat to Nonoc Island (where the mine is located). The boat departs at 12 noon. While waiting, my officemate Merle called me up and asked if we are still going to Buenavista. I told her that only two confirmed. She then said that we should. She will bring her friend Roque along and he has a tent. Jill who was already on the boat with me said she might go with us to the beach but will not spend the night there. Since the boat that will take us to Buenavista will only drop us off, Jill plans to go back to Nonoc too. When we got back to the staff-house, we had lunch and requested our food servers to pack our dinner as we are going to spend the night in Buenavista. I don’t remember what happened but suddenly Jill changed her mind and decided to spend the night there too. Jill’s roommate Salee, on the other hand, was firm with her decision that she will not go. She told me she will just stay and watch movies. Guess what, when I went back to the dining area I saw her there already dressed in her beach attire and ready to go. I was laughing so hard when I saw her. 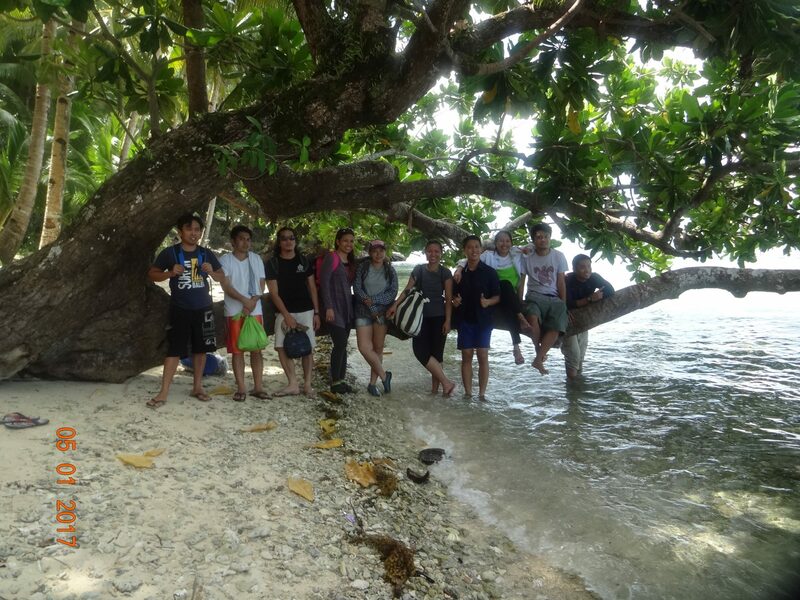 At around three in the afternoon, we finally made our way to Brgy. Cantiasay. After buying additional foods and drinks, we looked for the boat that will take us to Buenavista. From only two people who confirmed the other night, there were eleven of us on that boat to Buenavista (boatmen not included). 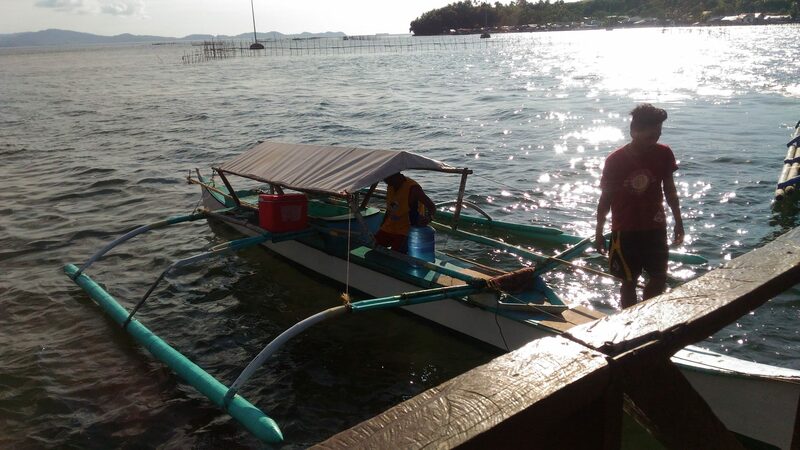 This was the boat that brought us to Pagkawasan Beach in Buenavista. 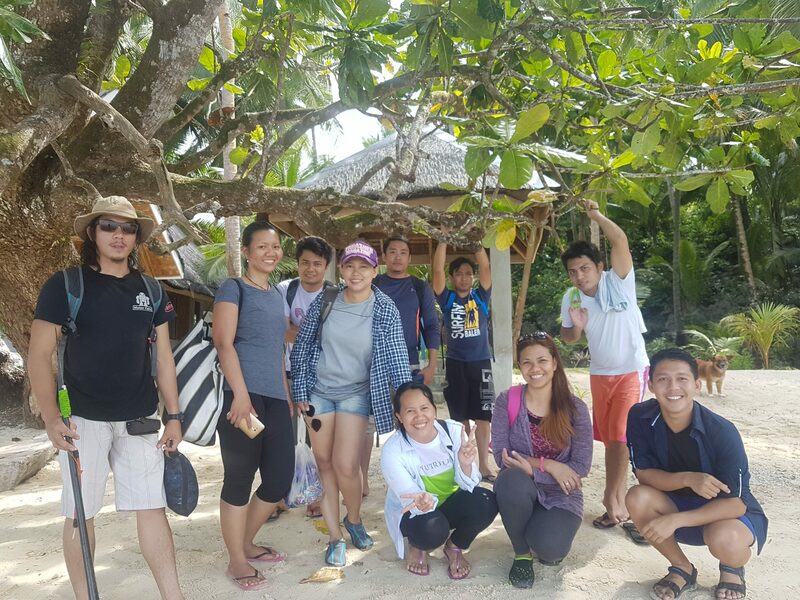 After about 20 minutes of boat ride from Cantiasay, we finally got to Pagkawasan Beach. 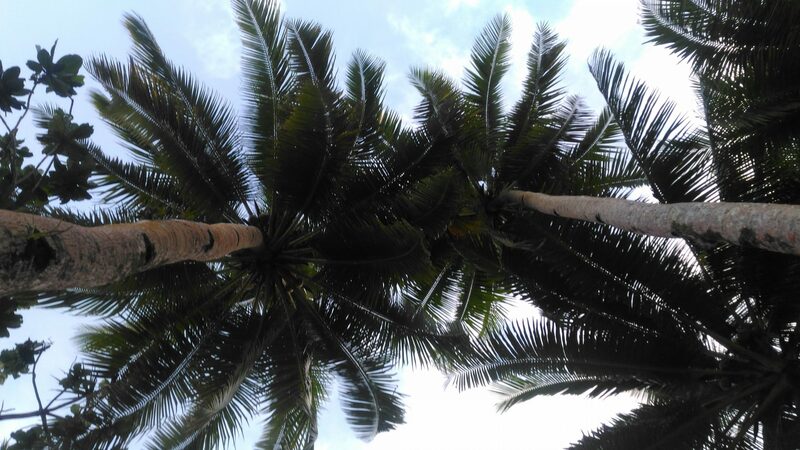 Pagkawasan Beach is a strip of fine white sand and lined with coconut trees. 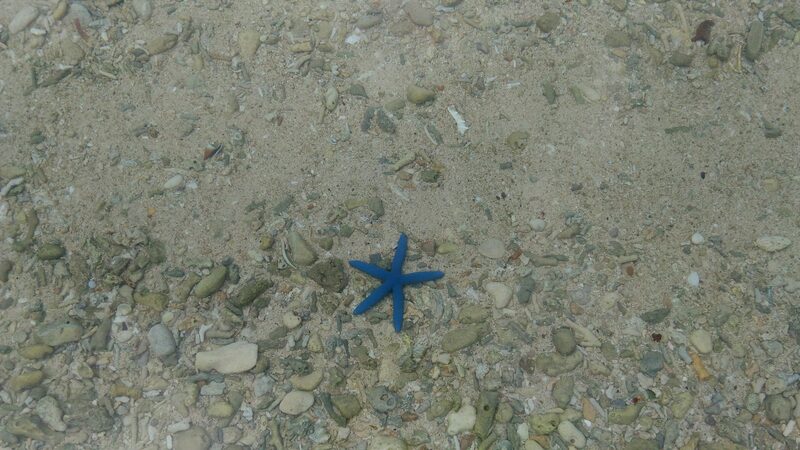 It boasts of clear blue waters ideal for swimming. 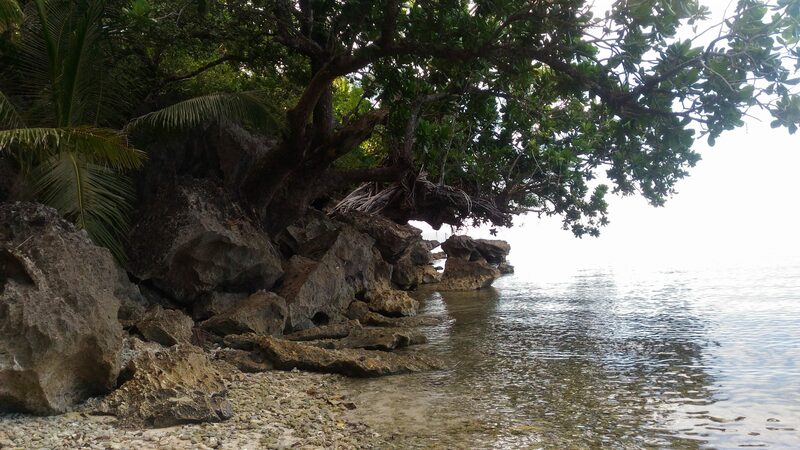 There is an entrance fee of Php 50.00 per head in the beach but if you rent a cottage, the entrance fee is waived. 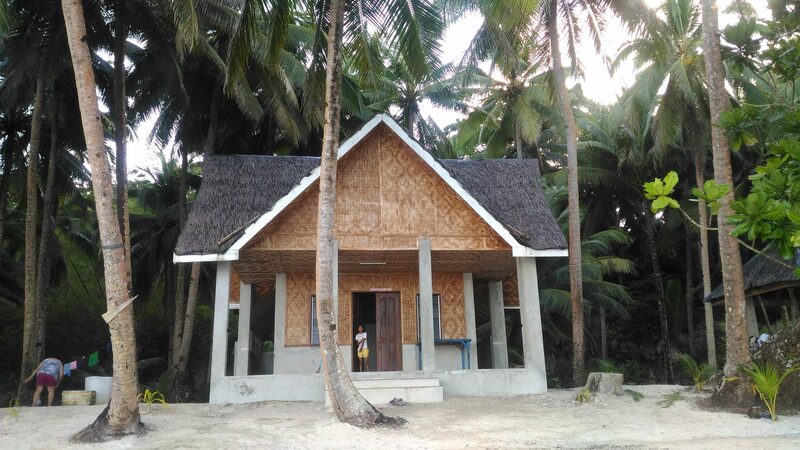 The open cottage is for rent at Php 500.00. 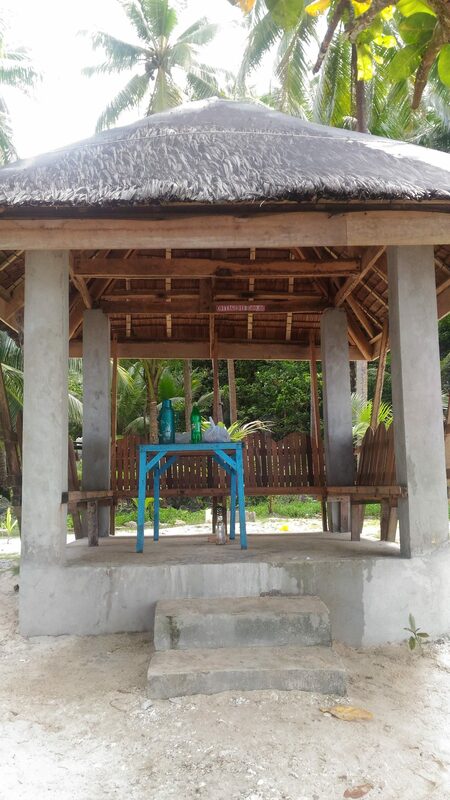 There is also a cottage for those who are planning to stay overnight on the beach. The cottage is for rent at Php 1000.00 per night. There is no electricity in the area but the cellular phone signal is good. Instead of paying for an entrance fee, we rented the open cottage so we have a place to put our things. It also served as our dining area. 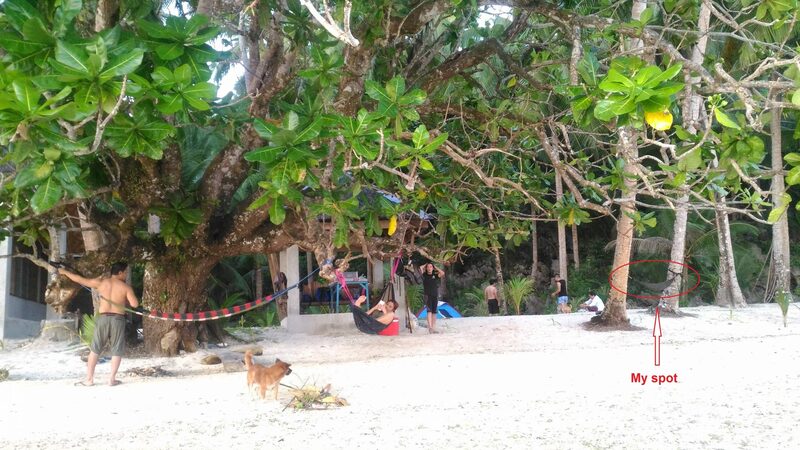 After sorting things with the caretaker, we set-up our hammocks and tent. 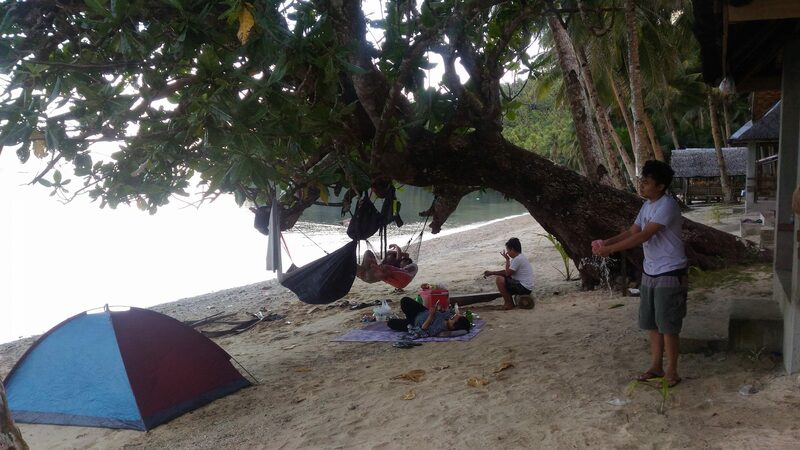 There is no extra charge for setting-up tent or hammock in the beach. 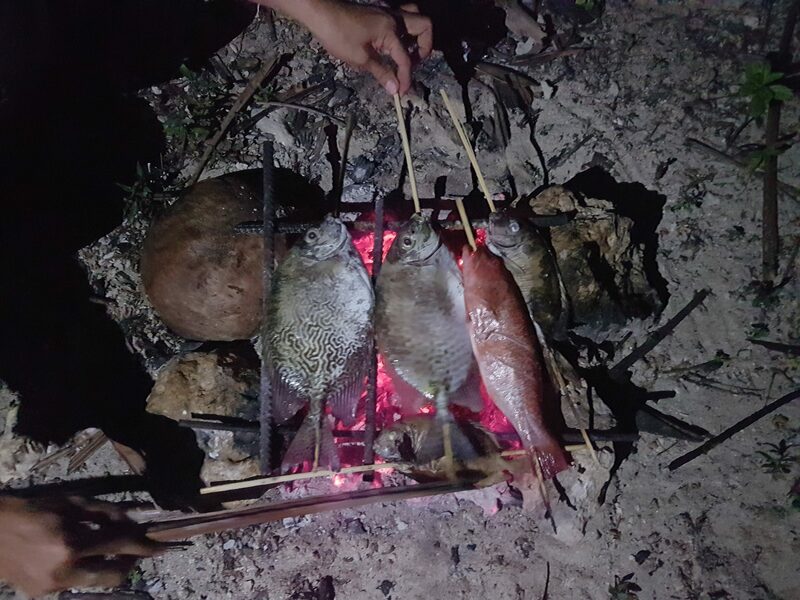 After setting up, the boys took charge in grilling the chicken and fish for our dinner while we were busy taking pictures. 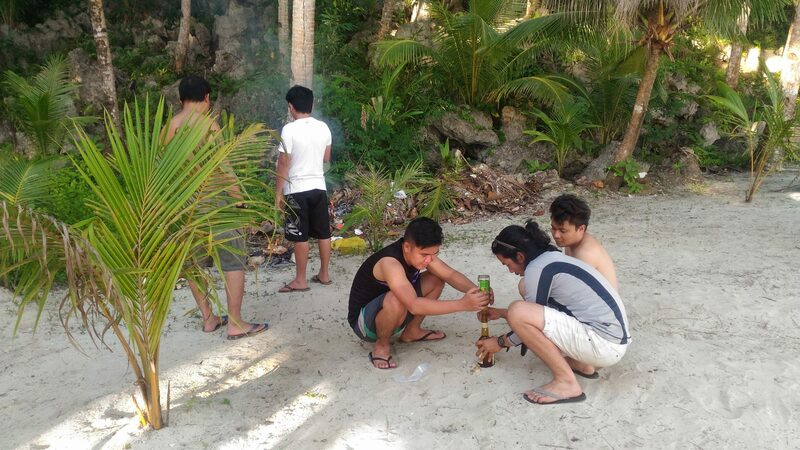 We didn’t bring barbecue grill screen so the boys improvised by using rocks and metal rods they found there. Merle and Roque went snorkeling and got some “lato” (seaweeds) which we also had for dinner. 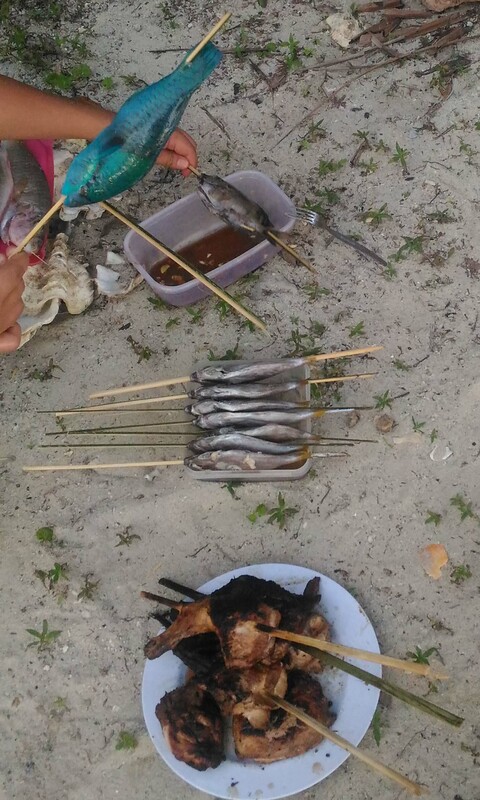 Edward went fishing and they also grilled his catch. 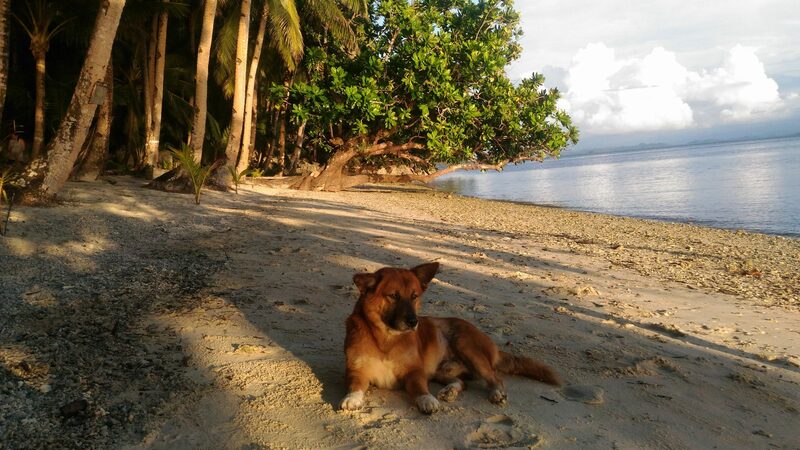 The island dog. So fierce! 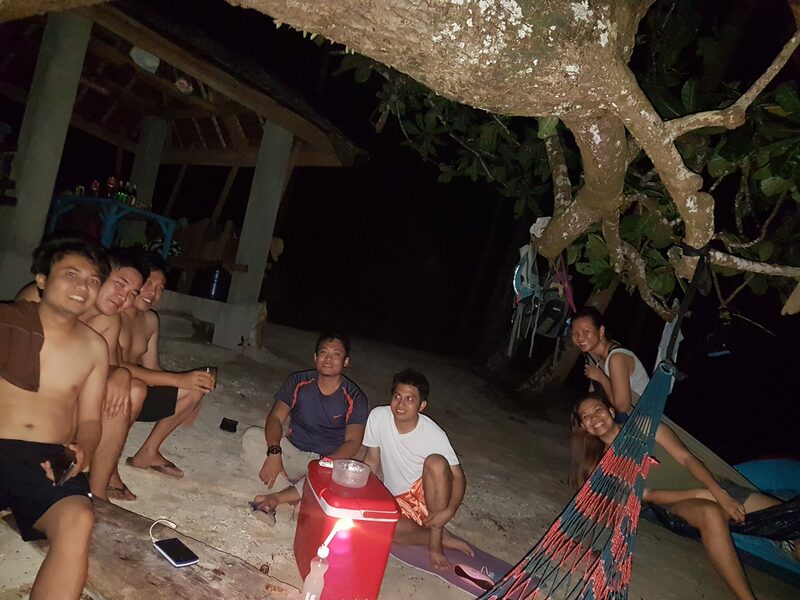 After dinner, we shared stories while doing shots and listening to the “Music for Malling” playlist in Spotify. 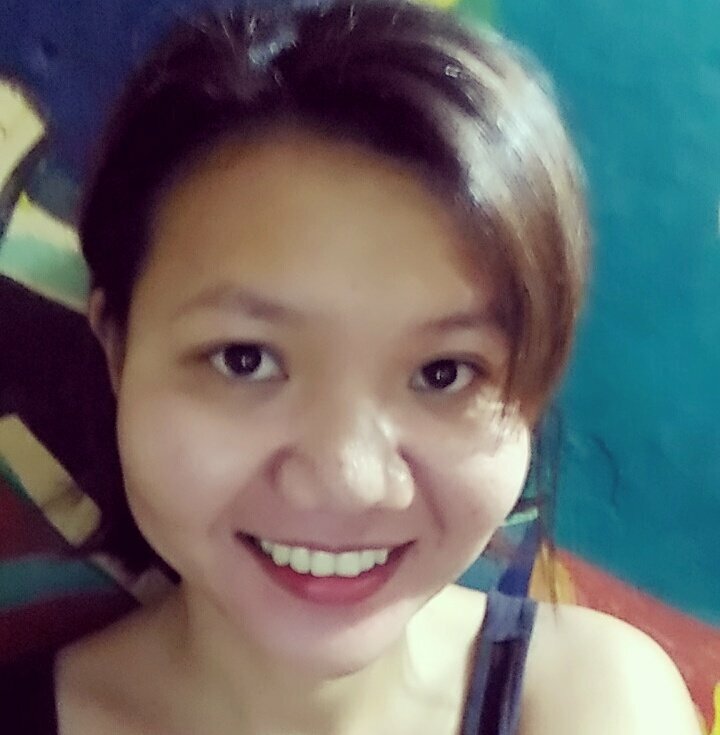 It was a great time to just relax and not think about work. At past 12, we called it a night. In my hammock, even though the whole place was so dark and all you could hear are the sounds of the waves and crickets, I never felt afraid. As I looked up the sky, I saw how it was beautifully lit by stars. That night was unforgettable. When I woke up the next day, I walked along the shore to take pictures, enjoy the sand and to collect sea glass. At half past 9 in the morning, the boat we hired to pick us up arrived. 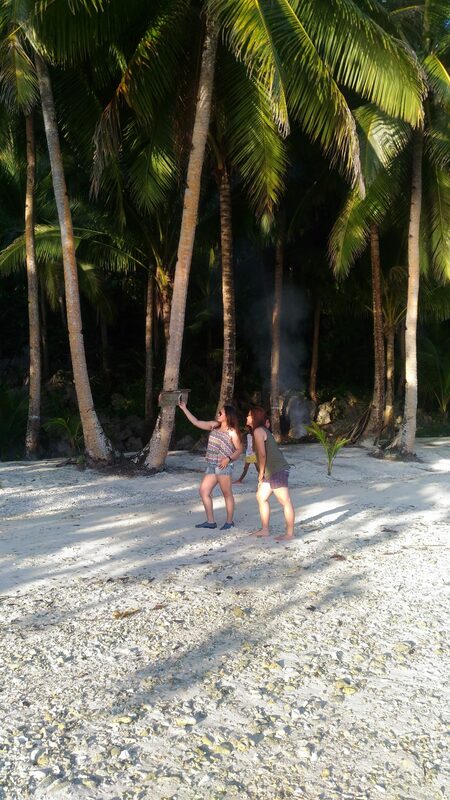 But before leaving the island, we took groufies. We were very lucky because it never rained while we were in Buenavista. On our way back to the staff house from Cantiasay, it started to rain. 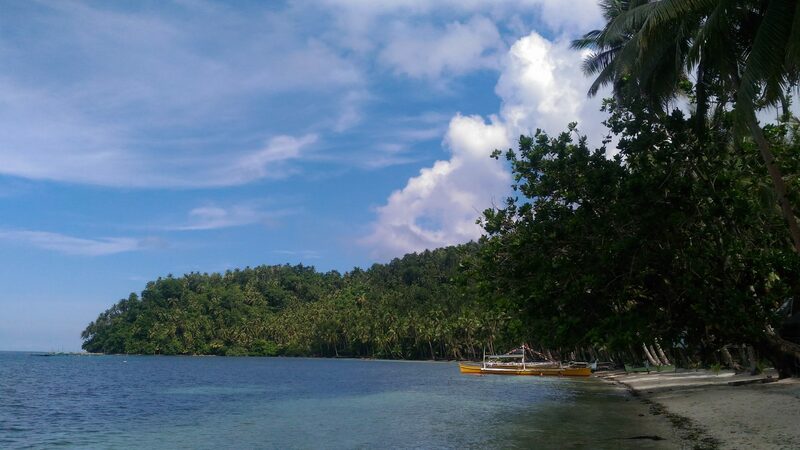 From Surigao City, you can hire a pumpboat at Punta Bilang-bilang to take you to Pagkawasan Beach. 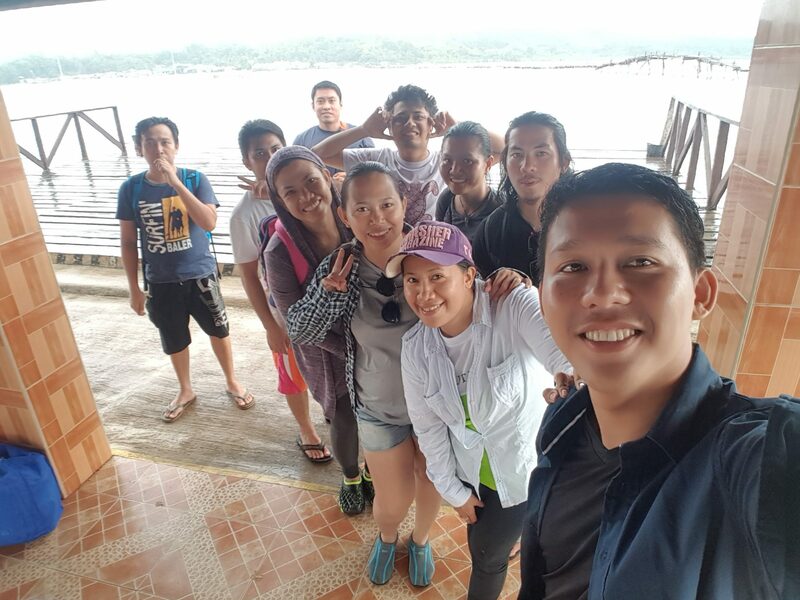 Or you can get in touch with the Surigao City Tourism Office to arrange your transportation by emailing them at tourism.surigaocity@gmail.com. You can also visit them at their office in Luneta Park in Surigao City. 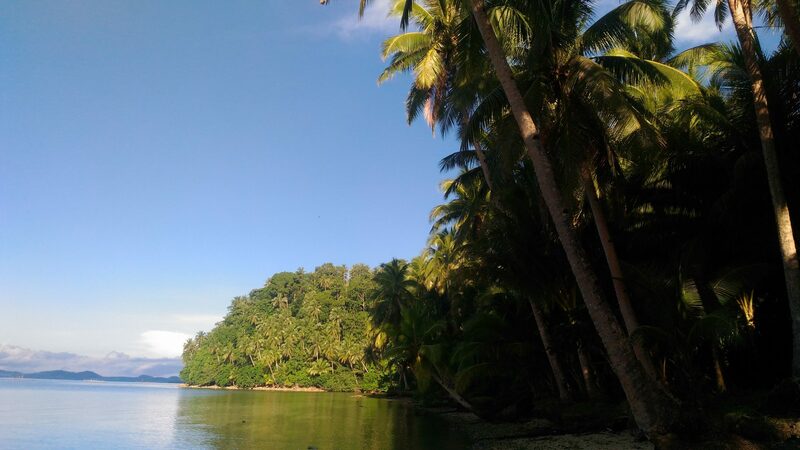 Destinations, Philippines, Surigao Brgy. Buenavista, Brgy. 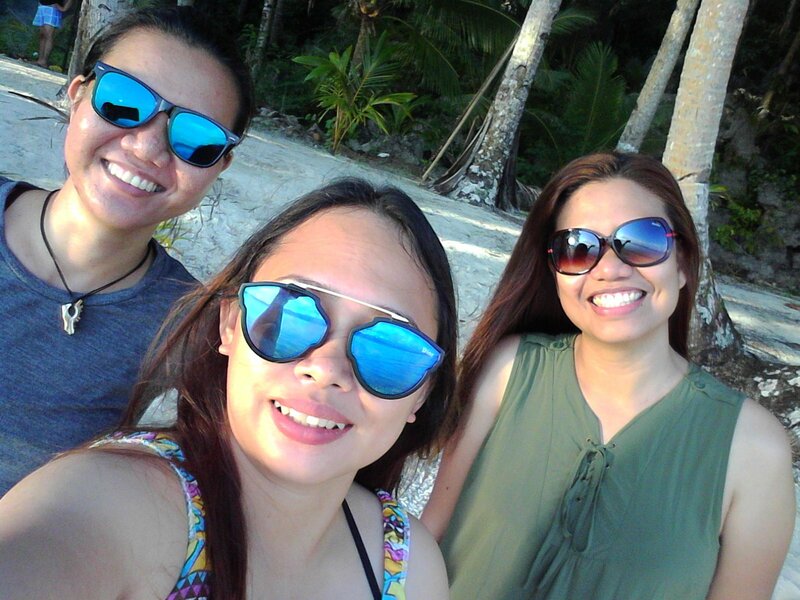 Buenavista Surigao City, buenavista, hikdop island, pagkawasan beach, Surigao, Surigao City. permalink.